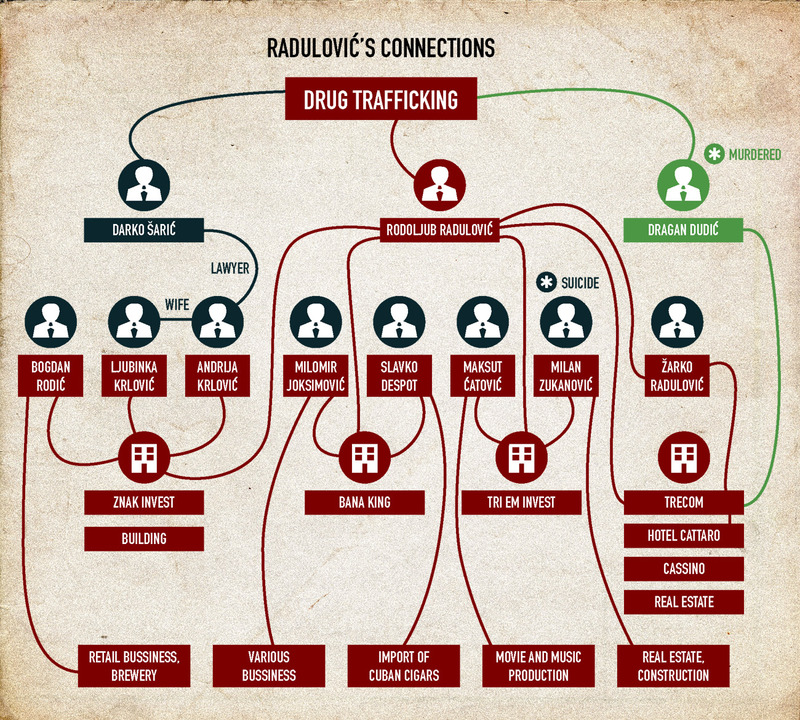 Over the past decade, Latin-American cocaine cartels have also collaborated with Balkan illicit importers and play a great role in supplying an estimated four million addicts with this drug annually in the European markets. Moreover individuals are being recruited in substantial numbers for loading and carrying of the drug. This method is preferred by Western African communities, mostly in Greece who pay a sum of around 2-4,000 Euros to EU citizens to travel and buy directly for them cocaine from Latin American countries. In that sense the try to minimize the damage by a confiscation of large shipment, while the individuals are usually ones without a police record. A trend emerging according to recent commentary by the Greek director of country’s anti-narcotics unit, is for the recruitment of EU citizens that unload the drug to a destination different than their homeland, whilst they frequently change airport locations, so as to confuse authorities, while a large number of seeming unrelated people is involved, making investigation process far more difficult. Hashish is widely cultivated and exported illegally from Southern and central Albania to Greece and Italy. A significant number of quantities are then re-exported to other countries in Europe, with the amounts of shipments usually exceeding one ton per transfer, made by trucks and vessels. According to estimates by the Greek Police in the main Western road axis that joins the Greek-Albanian borders with the port of Patras, 2 tons of confiscation of cannabis takes place per month, without including other quantities being found from indigenous production. The bulk of these amounts comes from transfers via trucks that follow the route Albania-Patras and then they are either re-exported to other EU countries or make their way Eastwards into Athens. In Montenegro the local media "Vijesti", relayed researches by EU bodies and local Police that assume for the existence of 35 organized crime syndicates specialized in narcotics contraband. These groups are also involved in arms illegal trade and consequently in money laundering, in similar fashion like in the neighboring Western Balkan states. The main spots of concentration of activity for these groups are the capital Podgorica, town of Rozaje, and the ports of Kotor and Bar. 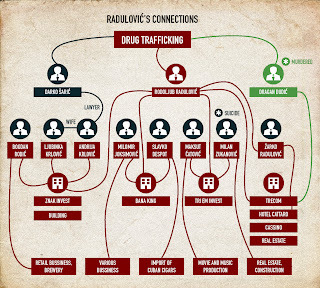 The main issue is the strong interpersonal bonds that have been created with Albanian (and Kosovar) groups along with the Calabria 'Ndrangheta, while the stretch of activities reaches up to Serbia (Belgrade), Latin America, Netherlands (Amsterdam) and Central Europe. As far as Serbia is concerned the territory of the country is a major trespassing route but also a destination location, since local narcotics consumption is raising. The region of Novi Pazar -Sanjak hosts a number of criminal entities which are in direct contact with Albanian-Turkish-Kurdish traffickers. The gradual expansion of this collaboration has evolved to the extent that a gram of heroin is being sold for around 10 Euros in street prices in Belgrade and tends to drop constantly over the past five years. The heavy involvement of drug cartels in Southeastern Europe with arms dealers, has also resulted in flooding the local markets with an array of small arms, posing clear danger for societal stability and concerns for the arming of radical and terrorist groups.AK-47's are being sold in Greece's underground market for 300-1,500 Euros depending on quality and times being used. Consequently robberies even of a small scale by the use of this military- type weapon have multiplied over the years, to the extent that the Greek ministry of justice is preparing a Law to sentence culprits using this machine gun into life imprisonment so as to deter further use. Moreover, sophisticated pistols such as Glock 17 can be found for around 4,000 Euros, Zastava ones for less than 2,000 and Tokarev and Makarov for as little as 1,000 Euros. Usually networks dealing small arms have also access to other types of weaponry including hand grenades (100-200 Euros per each) and can even supply RPG rockets to "costumers". The recent revelations by world media that Western Balkan groups have also been involved in supplying heavy arms to the Syrian battlefield is another worrying trend, since that will further empower both their reach and their economic base. Lastly, it is of importance to pin point variables under which a future estimation of organized criminal trends could occur in the Southeastern European locale. 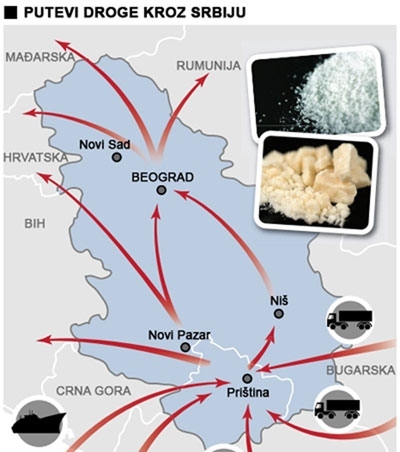 Economies of scale: Due to security authorities pressure and the one exercised by the EU for an eventual membership of W. Balkan countries; criminal groups already cooperating in the sectors of narcotics, arms and trafficking will join structures and combine their forces. The example of neighboring Italy is illustrative that local groups tend to formulate even stronger ones when circumstances make the existence of any individual group perilous. Similar "Cartel-type" organizations exist in Latin America and in USA, while the economics behind such model are evident. Money laundering to become the norm-uncontrollable: Despite efforts of a great scale of both local and international authorities, money laundering has a vast number of manners under which it could be conducted that are virtually undetected by authorities. The creation of perfectly legal small and private companies with substantial "nominal" profits is one. Due to the variables that have already be mentioned that activity will likely rise, thus permitting organized crime cartels to further integrate into the societal structures and thus into local political and business life. The different sectors of systematic criminal activity tend to multiply the dynamics of each. At the same time the success of each group tends to be imitated by newly emerging ones: In times of economic uncertainty and crisis, while new sectors of illicit activity are being created (such as the mass illegal immigration from Asia into the Balkans since roughly 2005), newly formed groups are getting involved by seeing opportunities to raise much needed capital. Since each illegal sector needs to invest capital in the first place (transportation, logistic, recruitment, etc.) a vicious circle of enacting new criminal enterprises to secure capital so as to get into more sophisticated sectors begins that tends to involve a larger number of individuals who come from a variety of walks of life not necessarily connected to the "underworld". In short, organized criminal activity tends to penetrate larger stratums of society and penetrating all legal activities as well. Schengen zone and ease of travel: Apart from the obvious convenience of free travel of goods and people for criminal cartels, the Schengen zone along with the boosting of air travel and transportation in general across the Balkans-EU, has also created new interpersonal networks not only in a country level but also in region -to -region level, making the containment of activities of those extremely difficult. Lastly the wider destabilization in the MENA region will certainly assist into the interaction of criminal groups as facilitators between countries such as Syria or Libya with the rest of the EU markets in a whole range of illegal sectors and most importantly illegal immigration and human trafficking.